It's a TRANSPORTATION SITUATION this week at Stamp TV! 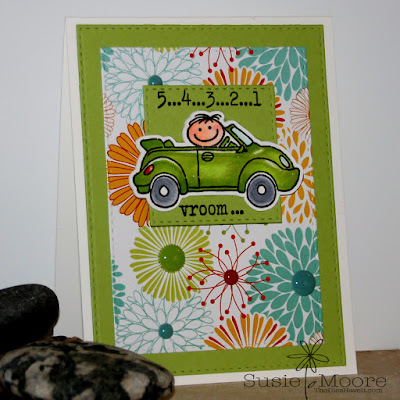 Nobody likes a traffic jam, so get out your stamps - cars, trucks, horses, buggies, rocket ships - and make a card with some sort of transportation in mind. 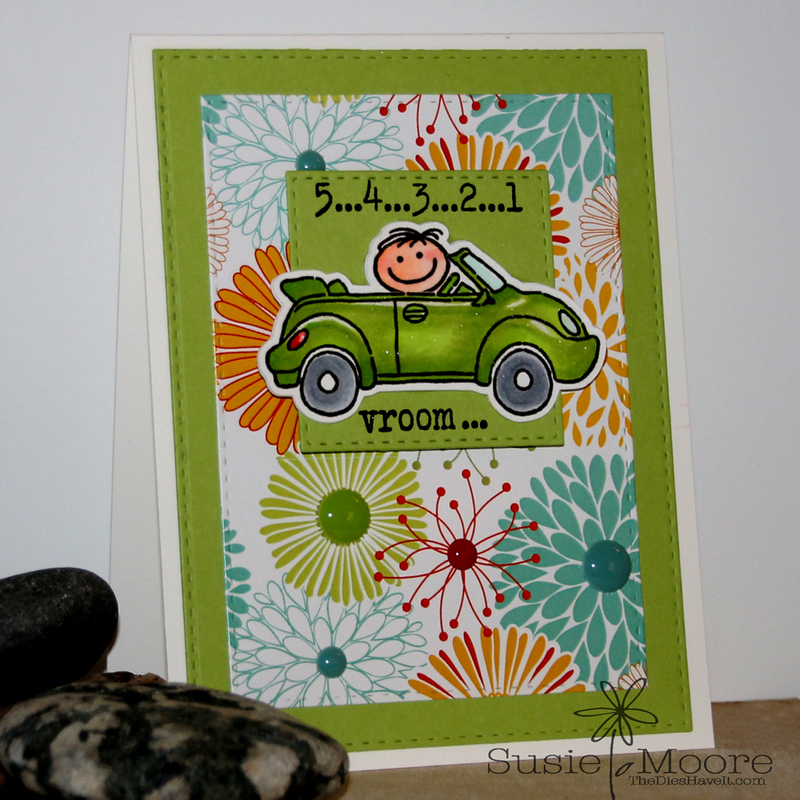 I used a newish stamp set from Claire Brennan to stamp my image and sentiment. Be sure to check out Half Pint Heroes because it is a great set with plenty of wonderful images and sentiments. Have your project uploaded to our gallery with the tag STV17MON3 no later than January 22, 2017 at 8 PM, CST for your chance to win a fantastically wonderful $20.00 gift certificate to the Gina K. Designs store!